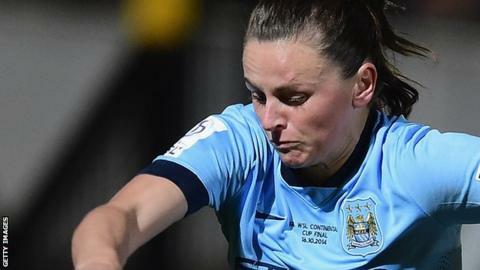 Sunderland Ladies have signed midfielder Krystle Johnston on a one-year deal and defender Rachel Pitman on a two-year contract. Bury-born Johnston, 31, had been without a club after leaving Manchester City at the end of the 2015 season. England youth international Pitman, 22, joins following her return from DePaul University in Chicago. "It is great to bring on board another two fantastic players," said head coach Carlton Fairweather. "Krystle and Rachel have a wealth of experience which will stand us in good stead for the forthcoming campaign."